PJ Mouse, an adorable little stuffed animal, was lost and alone until young Emily heard his cries for help. ​Now, along with his new family, PJ gets to travel the world - discovering exciting new places, people, and animals along the way! PJ Mouse, an adorable little stuffed animal, was lost and alone until young Emily heard his cries for help. Now, along with his new family, PJ gets to travel the world - discovering exciting new places, people, and animals along the way! ​Third Book in the Series to be Released Soon! Order Your Copy Today. The Travel Adventures of PJ Mouse - In a Small Corner of England. Join PJ on his third adventure, in jolly olde England. Discover why PJ finds simple things like bike rides and car rides a little too entertaining all of a sudden, why his stuffing might explode when talking to a local hedgehog, and if the 500 year old buildings do indeed bury him in rubble. And don't forget about Star Bear....when the lady asks for his autograph, does it mean he has finally found one of his fans? Gwyneth Jane Page (Jane), who holds an MBA from Simon Fraser University, has called many countries home. She grew up in such places as England, Peru, the USA, and the Caribbean, and has also lived in Australia and Canada. She now resides in Victoria, BC with her husband and four children. The PJ Mouse books are based on Jane's family trips with the real stuffed animal, PJ, who was found by Emily, Jane's youngest daughter. Megan Elizabeth, Jane's second oldest daughter, has lived in Canada and Australia and travelled extensively with her family-and PJ. Having been artistic since she was a little girl, illustrating the PJ Mouse books has enabled her to combine her love of travel with her love of art. Megan completed her studies at VanArts and is now building her career as a professional photographer as well as an illustrator. She currently resides in Victoria, BC with her family. The first story in the PJ Mouse series is The Adventure of PJ Mouse in Canada. This is a wonderful beginning to a great series that kids will immediately fall in love with. With new endeavors in each chapter, elementary readers will greatly anticipate what will happen next in the story. This book is filled with fun characters and a entertaining storyline, as well as pictures that improve the story. I would recommend this book to elementary readers. ​The Adventures of PJ Mouse in Queensland, book two in the PJ Mouse series, is a fantastic continuation of book one, The Adventures of PJ Mouse in Canada and fun adventure for kids. From page one beginning readers will love the exciting story of the first adventure of PJ the mouse. Each chapter is filled with a fun venture with PJ, with the pictures throughout the book enhancing the storyline as well. I would recommend this book to elementary readers. ​A colorful tale of friendship and fun between a little girl and her best friend - her pet elephant! I Love My Pet Elephant is a delightful medley of reality and fantasy, with shenanigans and adventures brought to life through vibrant illustration and simple rhyming text. Buy Lauren Micchelli's books on Amazon. I Love My Pet Elephant, written by Lauren Micchelli and illustrated by Thomas Barnett has a charming story and fun, beautiful, and brightly colored pictures that is a child’s delight and will thoroughly enjoy. They will relish the good times the little girl in the story has with her pet elephant. I would recommend this story to young readers, even as young as 3 to begin their reading journey and love of books. 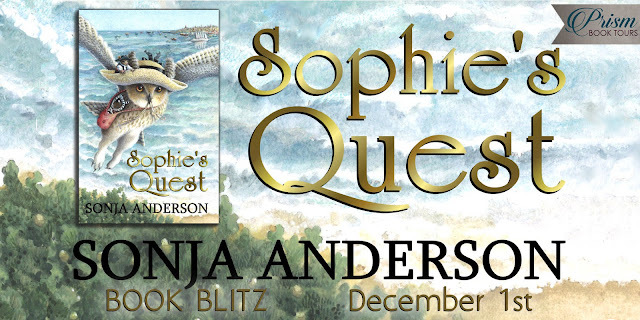 Sophie's Quest is currently only 99¢ for Kindle! 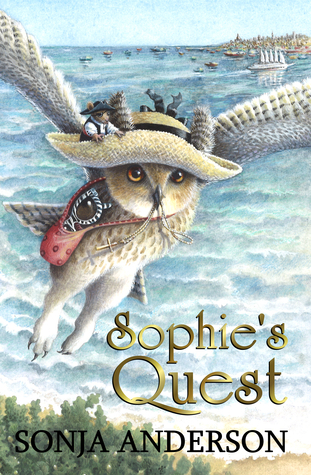 What is your motivation behind Sophie’s Quest? Why did you want to write it? The character of Sophie Topfeather popped into my head many years ago when I was teaching a multi-faith class at St. Mary's International School in Tokyo, Japan. According to many stories, owls are supposed to be wise, and it felt like we could use a wise owl in our class to help me answer all the kids' great questions about God. Then, about fifteen years ago, my five-year-old daughter got into heated discussion about God on the playground with two other students from different religious backgrounds, and my wise owl popped back into my head again. I wanted to write a story that would help her understand others better in our diverse community, and for her friends to also understand her. I hope that first of all, they take away the feeling that they have made some special friends on the journey, and want to know what happens next! I also hope and pray that readers will have developed compassion for others who believe differently than they do, and an increased desire to know the true Sky Painter--Jesus, Immanuel, God with us. I love all the scenes with Sophie and Timley, but some of my favorite scenes are between the Great Wise Horned Owl and Timley's very frightened mother. Their love for their missing children helps them forge a strong bond that is very special. What is something about you that is unique? Sophie Topfeather loves to collect people-things with which to decorate her life and home. When she finds a golden necklace, she is intrigued by its shape and shows it to her grandfather, the Great Wise Horned Owl of the Park. His reaction only stirs her interest even more; he calls it a holy symbol, and then a ‘t’ for ‘trouble’! All of which sets our young owl off on a Quest to learn its true meaning. Little does she know that a day-dreaming, over-protected, adventure-seeking Pirate – er, mouse – named Timley has leapt into the brim of her hat as Sophie flies off on her Quest! And suddenly, their adventure takes its own turn as they find themselves on board a ship bound for the Holy Land. Thorns and thistles! Has the trouble started already? Can Timley convince Sophie she should not—I repeat, NOT—eat him? This is also the story of the mysterious Sky Painter, who seems to be with them—no, leading them—on their Quest. So, why is he always leading them straight into trouble? Was the Great Wise Horned Owl right all along? Come along on the Quest to find out! Cross oceans with Sophie and Timley to a land of mosques and synagogues, markets and Bedouin tents, and, like our unlikely friends, you may never be the same again! Author Sonja Anderson has a Master’s degree in Education and a Bachelor’s degree in History, has worked as an elementary school teacher, a resident counsellor in a children’s home, taught Sunday School, and has served for 12 years as the Christian Formation Coordinator for the North Pacific Conference of the Evangelical Covenant Church. 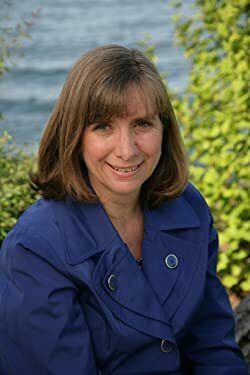 She is a member of the Society of Children’s Book Writers and Illustrators and the NW Christian Writers Association. Married with two daughters, she has called Seattle home for over 20 years.